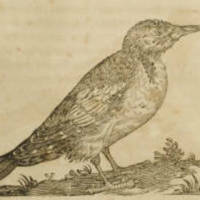 Among the birds that Kircher included in his Arca Noë is the partridge, which he claims can be found on many of the continents. 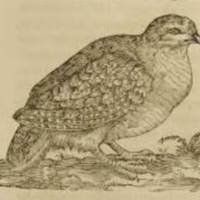 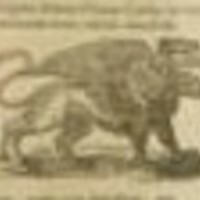 The beautiful and notable peacock. 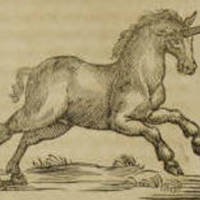 Among the large beasts Kircher included in his Arca Noë are the bull and unicorn, who differ greatly in their relationship with humans. 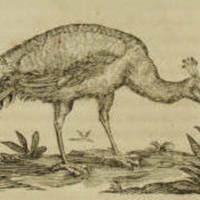 Page 77 of Athanasius Kircher's Arca Noë describes and depicts a gryphus (griffin), a mythical creature. 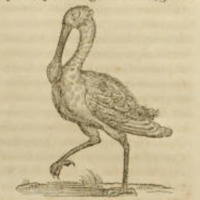 Wood-cut printed image of the pelican located on page 81, as well as comparison to the swan located on the same page. 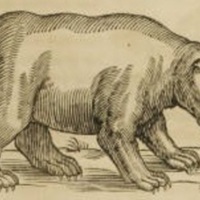 A discussion of the hippopotamus included in Kircher's Arca Noë. 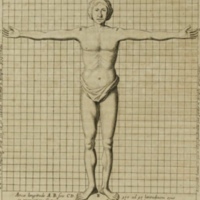 In this section of the Arca Noë, Athanasius Kircher expounds upon the harmony of the human body as it relates to the harmony of the Ark, suggesting that it points towards God's all-encompassing, detailed plan for creation. 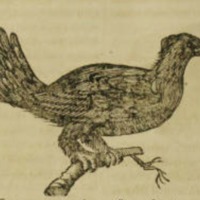 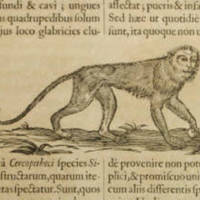 A woodcut of a "long-tailed monkey"
The image in the top center on page 86 of Athanasius Kircher's Arca Noë depicts an ancient bird known as the Tetraon (black grouse), a bird species that Kircher notes is strikingly similar to other birds.